Flight Visualizer, track Un-filtered flights in real time! Peer-to-peer (P2P) technology, or peer computing, is a paradigm that is viewed as a potential technology for redesigning distributed architectures and, consequently, distributed processing. Yet the scale and dynamism that characterize P2P systems demand that we reexamine traditional distributed technologies. A paradigm shift that includes self-reorganization, adaptation and resilience is called for. On the other hand, the increased computational power of such networks opens up completely new applications, such as in digital content sharing, scientific computation, gaming, or collaborative work environments. 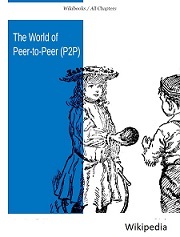 This book intends to explain to you the overall utilization that P2P (Peer-to-Peer) technologies have in today's world, it goes deeper into as many implementations as it can and compares the benefits, problems even legal implications and changes to social behaviors and economic infrastructures. It also explains in detail about the technology and how works and try to bring you a vision on what to expect in the future. It presents the technical challenges offered by P2P systems, and the means that have been proposed to address them. It also provides a thorough and comprehensive review of recent advances on routing and discovery methods; load balancing and replication techniques; security, accountability and anonymity, as well as trust and reputation schemes; programming models and P2P systems and projects. Besides surveying existing methods and systems, they also compare and evaluate some of the more promising schemes.